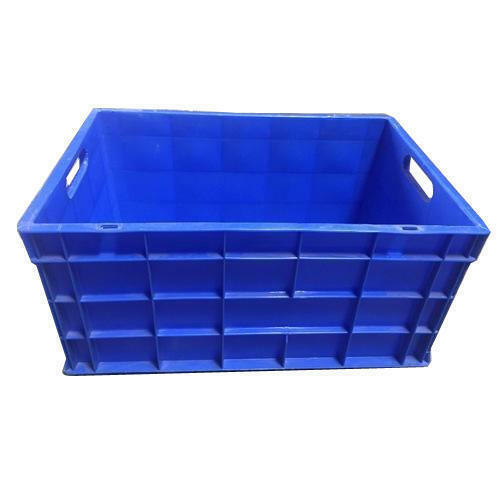 We Plastwell Products offer a wide range of Jumbo Crate which are used in automobile, fisheries, Food processing plants. These crates are heavy duty and hence have a longer shelf life. Established in the year 1994 in Mumbai, Maharashtra, we “Plastwell Products” are a Sole Proprietorship based firm, engaged as the foremost manufacturer of Plastic Storage Crate, Plastic Fruit Crate, HDPE Crate, Jumbo Crate, Plastic Garden Pot, Plastic Drainage Cell and many more. Our products are high in demand due to their premium quality, seamless finish, different patterns and affordable prices. Furthermore, we ensure to timely deliver these products to our clients, through this we have gained a huge clients base in the market. We also provide Plastic Crate Molding Service, Plastic Chair Molding Service, Plastic Bucket Molding Job Work.